Root Samsung Galaxy J7 2016 SM-J710F Marshmallow CF-Root 6.0.1 Method. Download CF Auto Root File For Root J7 2016 SM-J710F Marshmallow CF-Root Method. Copy the Unikernel files to your PC. Enter into Download mode->Volume Down+Home+Power Buttons. Press Start wait for the tasks to complete. It may enter into Recovery mode to add the SuperSu permissions. You can See the SuperSu after the Reboot in your Applications list. 4. A select device in ADB settings. 4. Press 'Read Codes DIAG' button to read security codes. 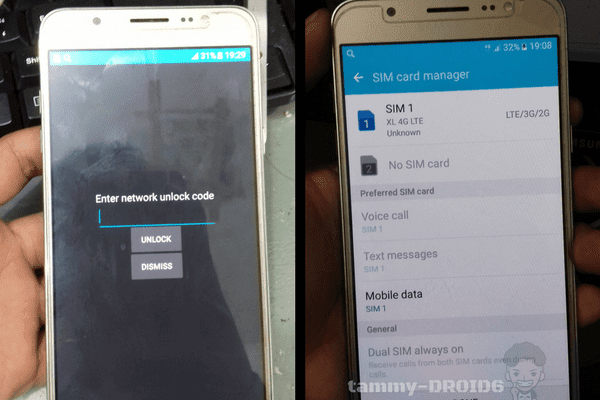 Belum ada Komentar untuk "Root and Unlock PIN SIM Lock Samsung J7 (J710F) With Z3x"